HEMINGFORD, Neb. 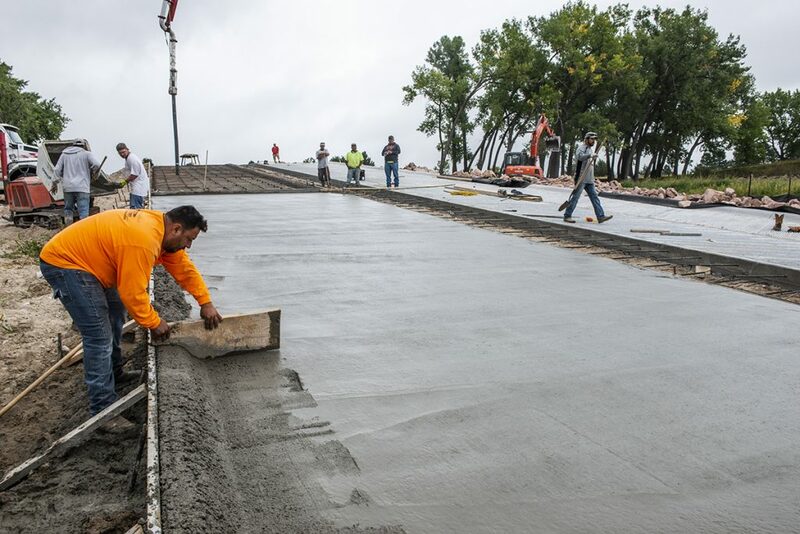 — Construction is wrapping up for the upgraded boat launch facility at Box Butte State Recreation Area and its new ramp is expected to be open for this weekend’s visitors. Husker Engineering of Burwell is completing final touches on the new handicapped-accessible launch, considered a big improvement over the old one. The ramp includes two 16-foot-wide lanes and a dock in the middle that adjusts to changing water levels. While the ramp is operational under current conditions, installation of the dock will require the water level to raise a few feet. The new ramp is a slightly steeper grade, which means boaters will not have to drive as far into the water to launch watercraft. The parking area near the ramp has been resurfaced with rock and an overflow lot to the north will accommodate vehicles and trailers during busy periods. At 18 percent full, the reservoir’s water level is low but beginning to rise. The lake was lowered more than 10 feet and water levels were maintained below 3,985 feet of elevation for the past year as the toe drains were being replaced on the dam. As that project reaches its October deadline, Mirage Flats Irrigation District has already stopped outflow from the dam to begin the slow process of storing water for next year’s irrigation season. The boat launch project is being completed with the Nebraska Game and Parks Commission’s capital improvement fund and matching revenue from the U.S. Coast Guard.